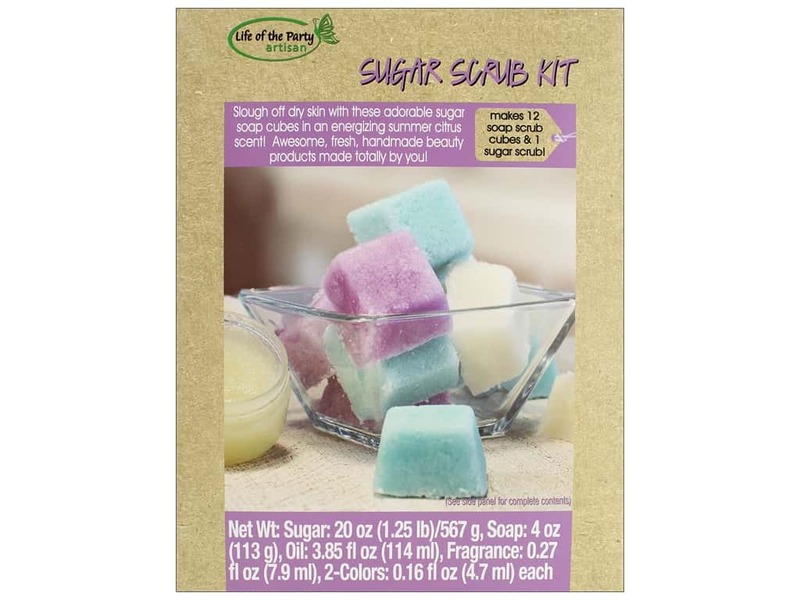 Description: Life Of The Party Soap Making Kit Sugar Cube Scrub- Slough off dry skin with these sugar soap cubes. Makes 12 soap scrub cubes and 1 sugar scrub. Includes sugar, soap, grapeseed oil, summer citrus fragrance, purple and teal color, 6 cavity mold, 1 clear jar, and instruction sheet. See more Life Of The Party.